Displays the number of sales on the product pages. 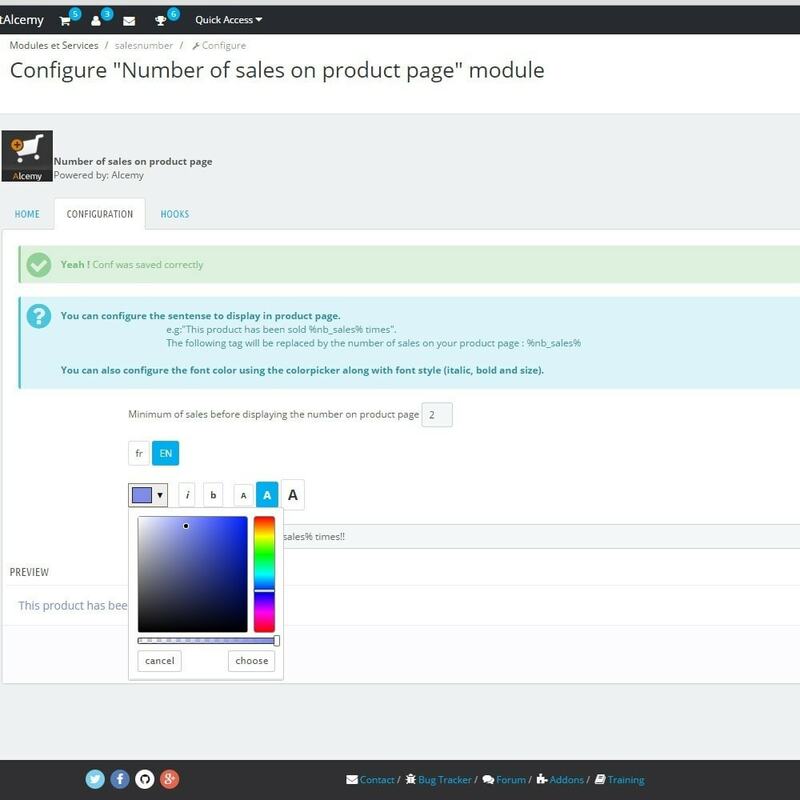 Everything is fully customizable, from text, the color, font size and style (italic, bold) and the minimum of sales before the module is shown on the product page. 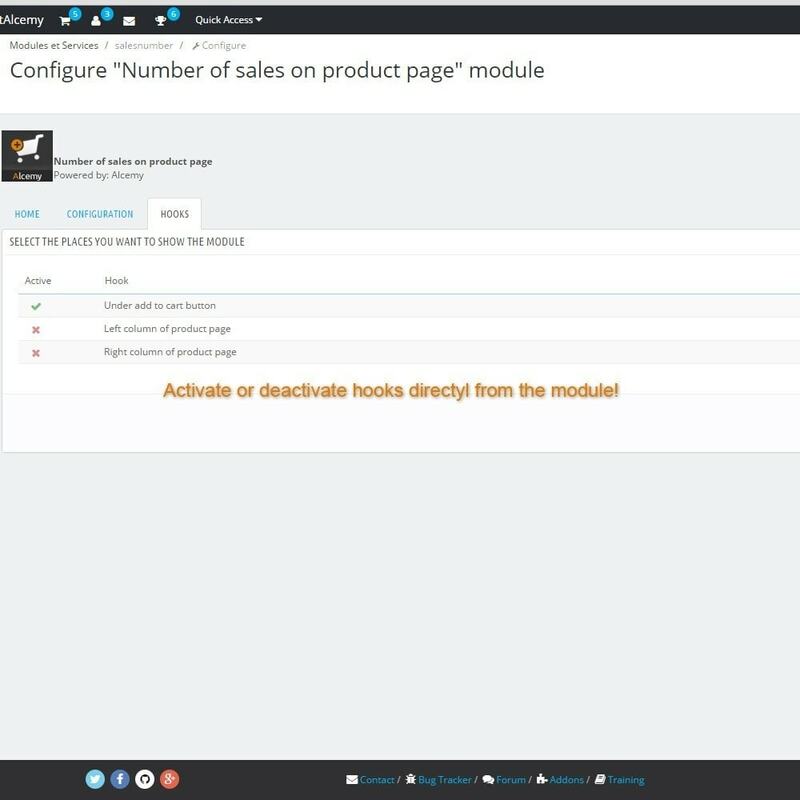 This module will highly increase the trust in your shop by showing to your futur customers that people already bought your products. Displays the number of sales on product pages. 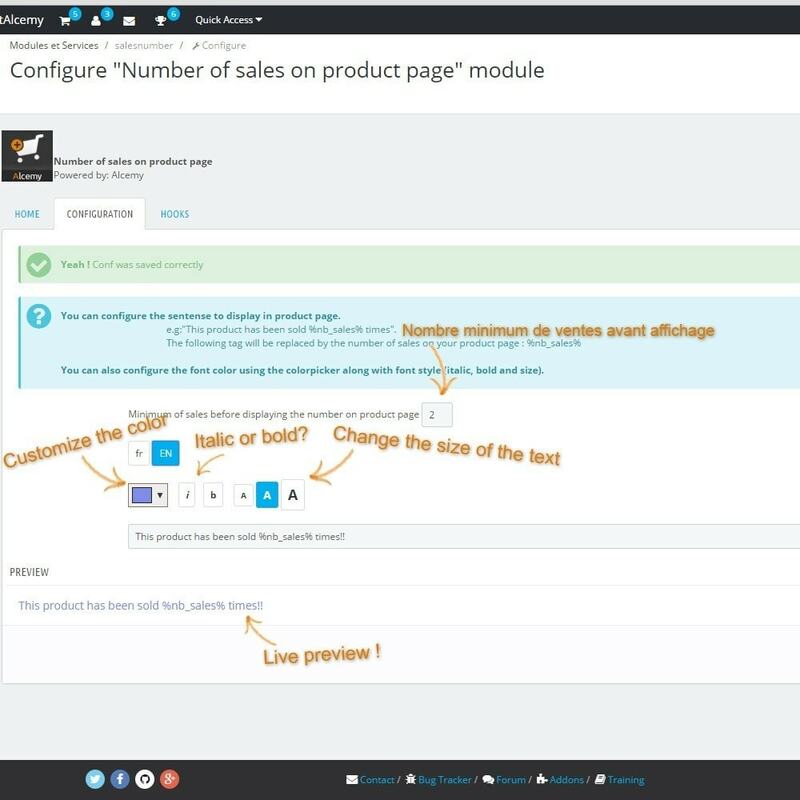 You might not want to let your customers see that the products they want have not been sold yet, therefore, you define a minimum number of sales to display the module in product page ! You can hook this module in the "Add to cart" box, or in left or right column. If you need any help or if you have suggestion of feature for the module, you can contact us and we will do our best to make it happen ! Customers can immediatly trust you because they see how much products you already sold ! Simple installation, just upload the zip file or connect your backoffice with addons and install it. Allows you to display category blocks with category images in pages.